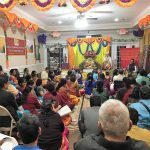 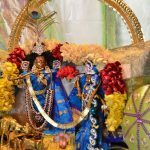 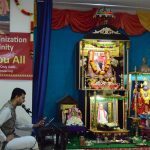 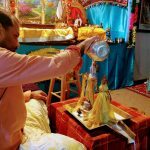 Global Organization for Divinity, USA celebrated a grand Madhura Utsav at Houston Namadwaar from Dec 24-31. 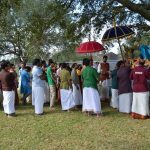 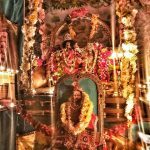 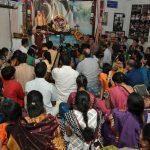 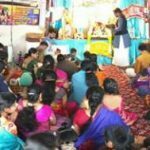 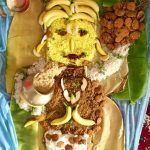 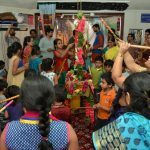 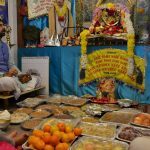 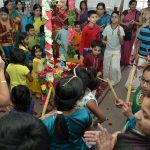 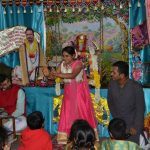 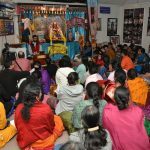 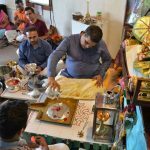 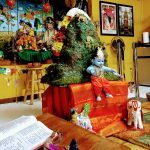 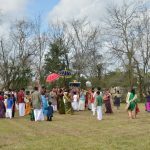 The Utsav was kicked off on December 24 with Guru Vandhanam and Paduka Pooja and concluded on December 31 afternoon with Vidyatri and Anjaneya festival. 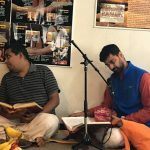 Each day was filled from morning to evening with Thiruppavai recital, Mahamantra meditation, Bhagavatha Parayanam, Madhura Gitam bhajans, Madhurasmirithi (sharing of sweet memories of Sri Swamiji), Ashtapadi sampradaya bhajans, Divya Nama sankirtanam and Srimad Bhagavata Katha . 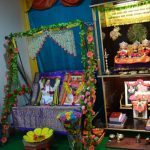 Shri Ramanujamji’s Bhagavatha pravachan in the evening was always a much awaited segment of the entire Utsav, and he had the devotees immersed in the joy of Krishna Leela and the depth and beauty of every sloka describing His leelas. 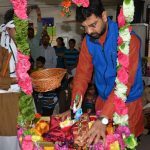 The way Shri Ramanujamji dwelled in depth to explain in deepest details “tam adbhutam baalakam” verse that describes Sri Krishna’s birth was truly extra ordinary. 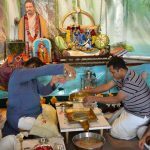 He touched on a very key message from Bhagavatham “even a curse is blessing”. 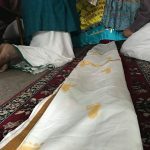 The story of Kuberan’s sons and how they were blessed by Narada , even though they fell on him in a uncivilized way was touching. 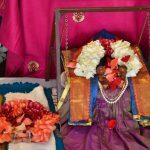 Citing the same story, Sri Ramanujamji said how one gets blessed by just coming in contact with a Sage. 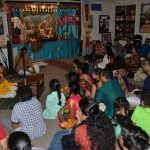 The Devotees also were immersed in rasa when Sri Ramanujamji drew references of Sri Swamiji’s beautiful insights. 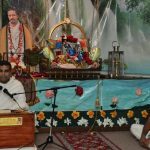 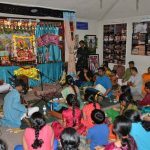 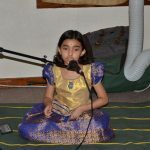 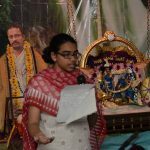 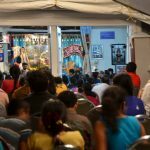 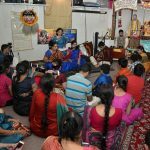 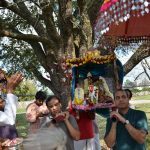 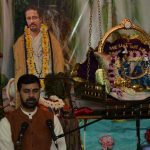 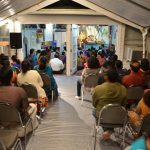 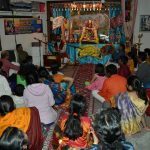 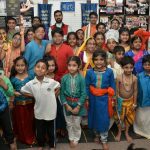 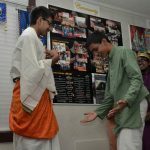 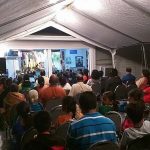 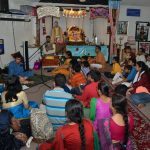 There were also many children’s events and cultural programs through the week – a Quiz program, rendition of Sri Swamiji’s songs by Houston-area singers and students (Sri J. Murali, students of Smt. 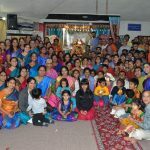 Uma Ranganathan, and group of Smt. 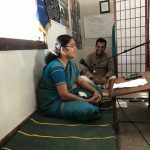 Neela Chakravarthy, Smt. 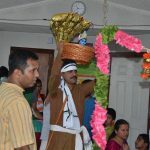 Raji Iyer and Smt. 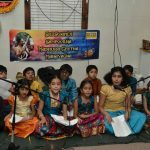 Kiran Partha), Hari Kathas by children (Mayuri and Keshav Srivaths, Chandrashekar Rajesh, Krithika Dwarakanath and Krishnanujam Srinivas), a special Nikunjotsavam concert by a young Houston singer Akhila Mamandur, and a Drama on Hari Yogishwara’s “qualities of a devotee” by all the children from around USA. 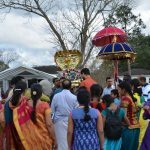 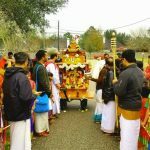 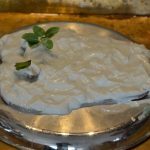 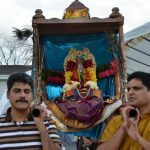 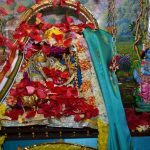 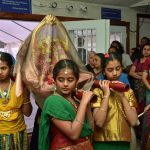 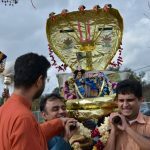 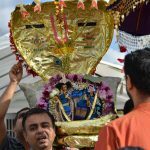 By Bhagavan’s grace, the weather was perfect, sunny and warm throughout the utsavam (even though it was winter time) and on the last day, it poured heavily, like Lord Sri Krishna was very pleased with the Utsavam. 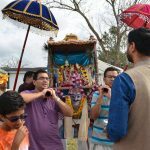 Though the Devotees felt sad that the grand Utsav ended, the only consolation is to look forward to the Utsav in 2017!